This three faced king is located above an entrance to The Puffin's Roost store. While I don't really know the significance of this handsome fella, aesthetically he's very pleasing. Anyone know what he is? I like taking creepy pictures of myself in general, so does it come as a surprise that I REALLY enjoy taking creepy pictures within the external hallways of the beautiful stave church? I'm pretty sure I've mentioned my love of the Kringla Bakeri Og Kafe before (maybe a few times? )...the restaurants food is among my favorite at Epcot. However, the fifth thing on this silly list is actually the sign out front. What the heck is going on here? A pretzel with a crown? Not really sure, but I know I adore it. After a long weekend of defending Maelstrom on Twitter I really needed to focus on a few positive things, hence the lighthearted nature of this post. 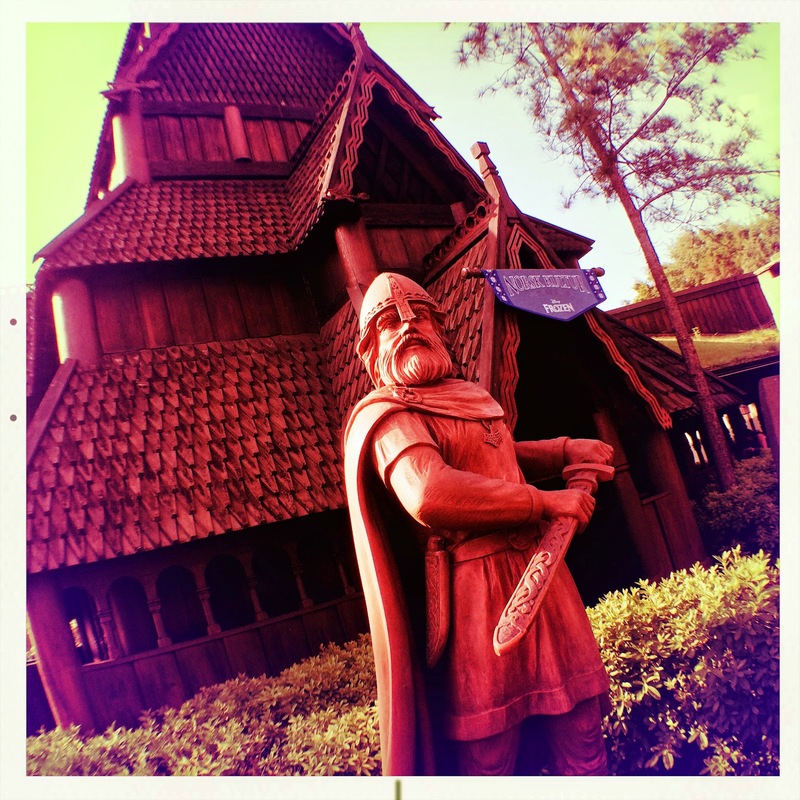 There is still a lot of charm to be found in the Norway pavilion. Lets all cross our fingers that it remains post-Maelstrom. I love Maelstrom, but to be honest I wasn't heartbroken when I heard about the change despite all of my fond memories..... UNTIL I realized that my three month old daughter will NEVER BE ABLE TO RIDE IT. She will never know. To answer your last question - a lot of bakeries in Norway have the same sign hanging outside. 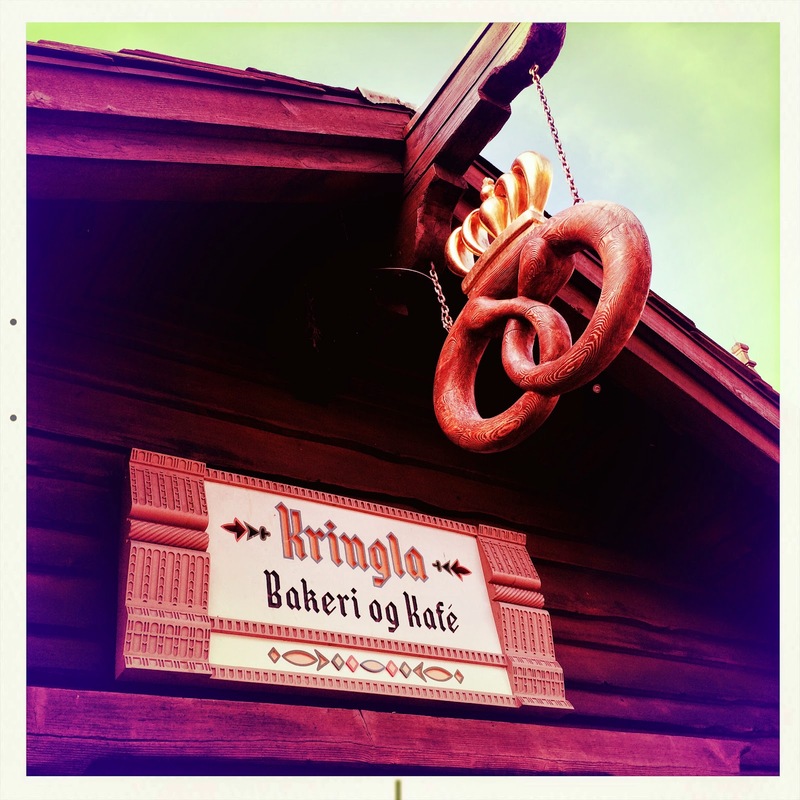 The pretzel is a "Kringle" in Norwegian. It's a sweet yeast bread, pretty big compared to a pretzel, and normally stuffed with raisins, cinnamon, butter and maybe apples. Yum!